The Envirocycle Composteamaker is advertised as the world’s most beautiful compost tumbler due to its sleek and fashionable design. It is constructed from the best BPA-free recycled plastic materials. Its compost tea is collected in the tank built into the base, which is a distinct feature that you will certainly appreciate. Despite its small size, it has a capacity of 35 gallons, and its rotating drum is a significant change to the traditional composting process. As compared to the Algreen Products Soil Saver Classic Compost Bin, the Composteamaker is more pleasing to the eye. It also offers the quickest turnover of compost, which is as little as four weeks. The Composteamaker has a base which holds the enclosed drum while the Soil Saver is bottomless and must be placed directly on the soil. Therefore, the Composteamaker is much preferred by those who want to place their composter on a balcony or porch while the Soil Saver needs to be placed in a garden or yard. Meanwhile, the Envirocycle has a smaller capacity as compared to the Lifetime 60058. Although both have a rotation feature, the Envirocyle has a more multifunctional base than the Lifetime. It also has better aesthetics than its counterpart. However, the Lifetime Compost tumbler has a larger opening which offers greater access and easier disposal and removal of the compost. In terms of price, the Envirocycle Composter is slightly more expensive, but it offers more features than the Lifetime composter. 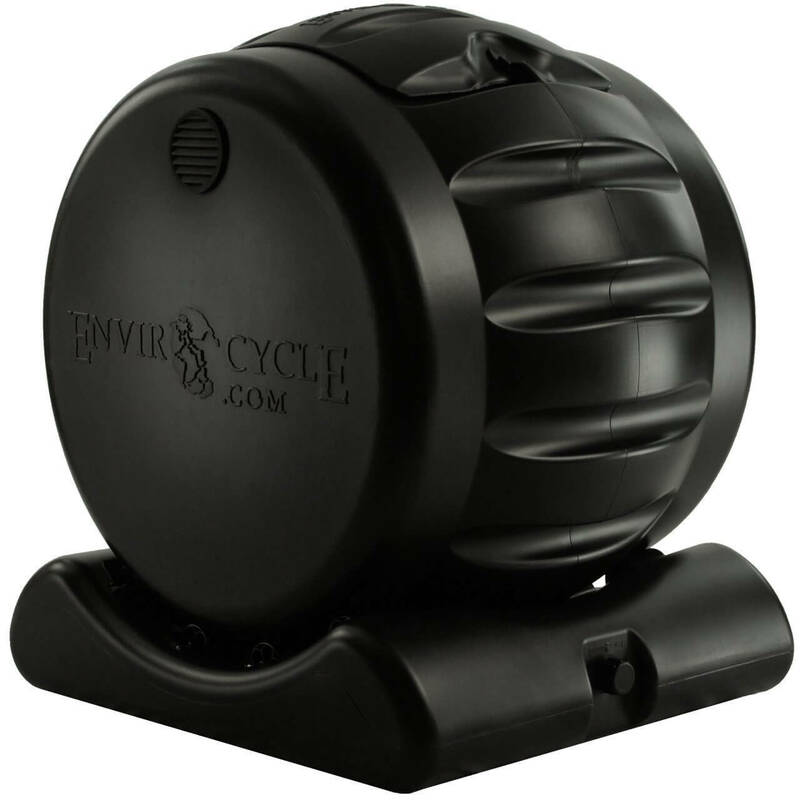 Easy To Turn - The Envirocycle Composteamaker is made with a strong base that keeps the barrel in its place while rotating. The grooves along the outer wall fit perfectly in the drum to keep it centered as it turns which prevents any rocking motion. Moreover, the materials used in its construction are strong enough to last for a long time. Sturdy Design - This tumbler is made of high grade plastic materials. The drum is designed with grooves that adds style and functionality to the design. The base is perfectly designed to contain the barrel. The unique design of the product adds beauty to your yard. Well Ventilated - It is designed to quicken the composting process with its strategically located ventilation holes. This promotes the flow of air inside the tumbler. 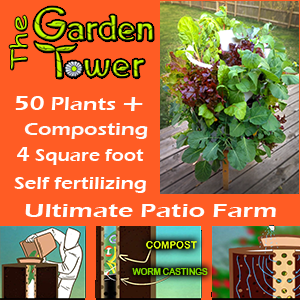 In as little as four weeks, you can generate compost full of microscopic organisms and nutrients. Ready To Use, Out of The Box - The tumbler requires no assembly, so you can use it right away. It is designed to make the composting process simple with the grooves created outside the drum for easy rotation. Simply turn the tumbler three times every three days and you can be certain to harvest quality compost in due time. Drainage System - You’ll never have to worry about the liquid compost tea dripping from your tumbler because it is collected in its base. Easy Access - The large opening in the drum also allows for easy access to add kitchen and garden wastes. Moreover, it can be rolled to the area where you need to use the compost. Latching Door Keeps Rodents Out - Due to its enclosed and solid construction, rodents cannot enter it easily. Its strong base makes it difficult for any rodent to knock it over. The door latches tightly to prevent rodents or other animals from gaining access to the compost inside. No Odors - The closed construction doesn’t allow for the release any odors, which lessens the chances of rodents being attracted to the smell of the decomposing food. Insects - There are a few customers who complained about flying insects that hover over the device. This is likely to happen if you have fruit scraps inside. The presence of flying insects indicates that the compost inside is too wet. To resolve this issue, you can add more brown material, like dried leaves and torn cardboard. Smaller Capacity - A small number of customers are not satisfied with the capacity of this tumbler. The capacity of 35 gallons was too small for their needs. If you have a larger family, you can buy several tumblers or you can choose another product which offers a larger capacity, like the Redmon Green Culture Compost Bin which offers a capacity of 65 gallons. Price - Some customers find the price quite expensive for their budget. 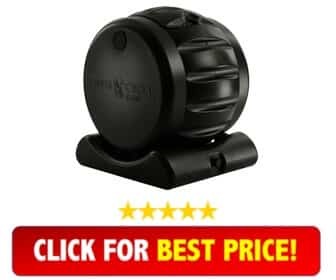 Compared to other types of composters on the market, this one is quite pricey, but considering its unique features, the price is reasonable.In terms of design and quality, this product has great innovations that other products failed to offer, like its rotation feature. Is The Envirocycle Right For Me? Then the Envirocycle is the perfect rotating compost bin for you! This compost bin is a great investment for any home because of its great design and innovative features which contribute to a fast and clean composting process. It features a base that holds the rotating drum while collecting the compost tea. Although it is quite expensive for it's size, you will appreciate the great features it offers. You can be assured you will get high quality compost in the shortest time possible. Check Out The Envirocycle Composteamaker NOW!